"The Gustav Mahler of our activity." That's how one DCI Hall of Famer describes one of the Hall's newest members. 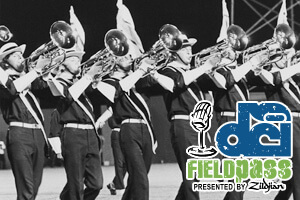 In this week's Field Pass presented by Zildjian, host Dan Potter profiles the late Ray Baumgardt, 2010 HOF Legacy inductee, with the help of Ray's widow, Pat, and his former Madison Scouts' brass colleague, James Elvord.